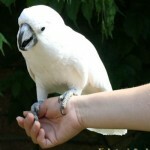 The Umbrella cockatoo (Cacatua alba) is one of the large species of cockatoo. 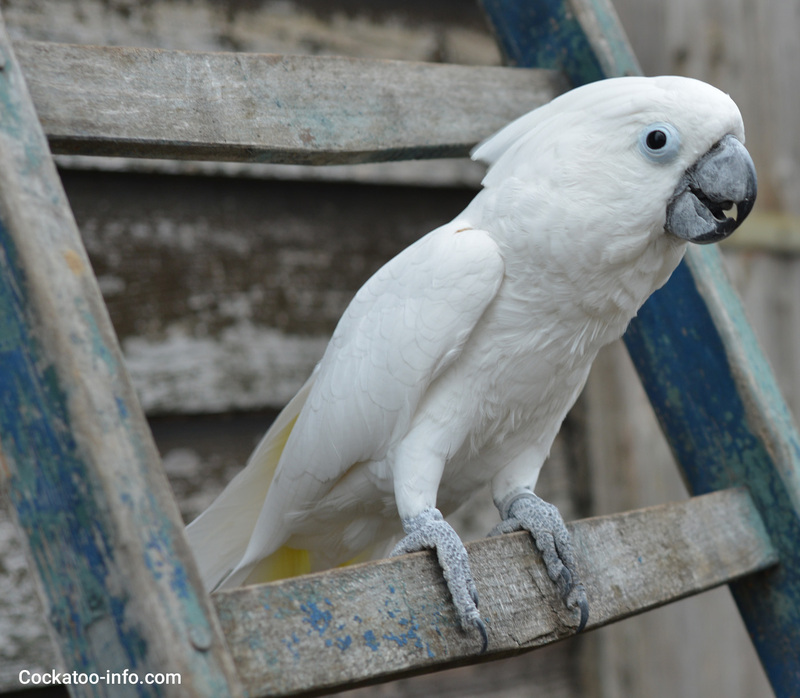 It’s feathers are white, with a white crest and a bright yellow patch at the inner side of the wings. It has a black bill and grey feet. Around the eye is a small blue circle of skin. 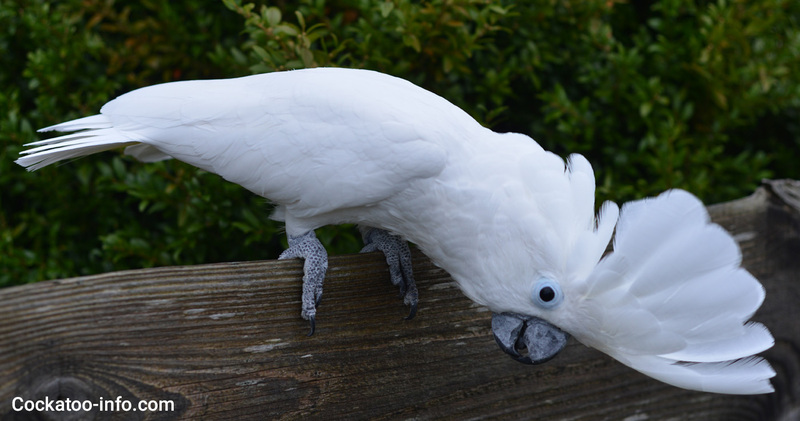 Males have black eyes, young umbrella cockatoos and females have brown eyes. White, yellow underside of wings. 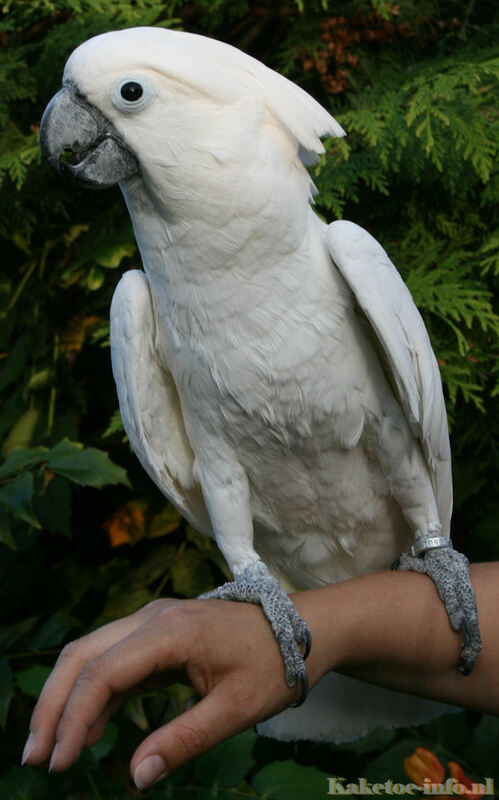 The Umbrella cockatoo originally is found in Indonesia. The live mostly in forest areas and do not venture out to the open field often. They live in small groups of around 2 to 10 individuals. 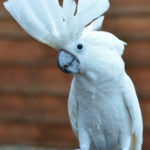 I myself (writer of this website) have an Umbrella cockatoo. His name is Coco and he is a great pet. 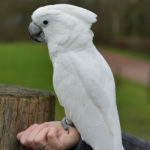 My own experience is that this kind of bird can become really affectionate, tame, cuddly and clowny but is very hard to keep inside of a house because of all the screaming. 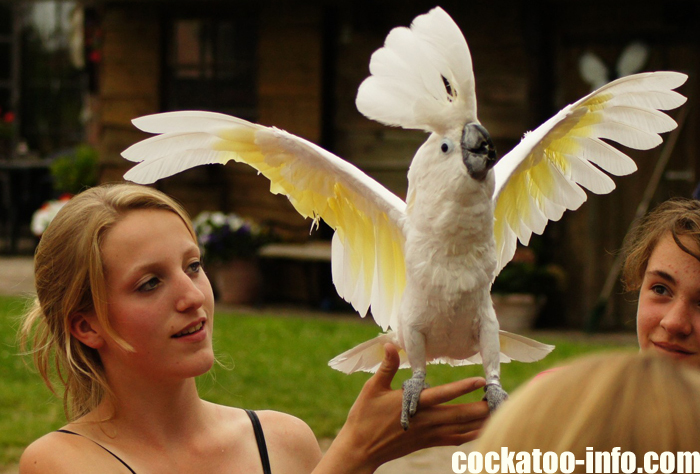 Even when happy this cockatoo will scream. 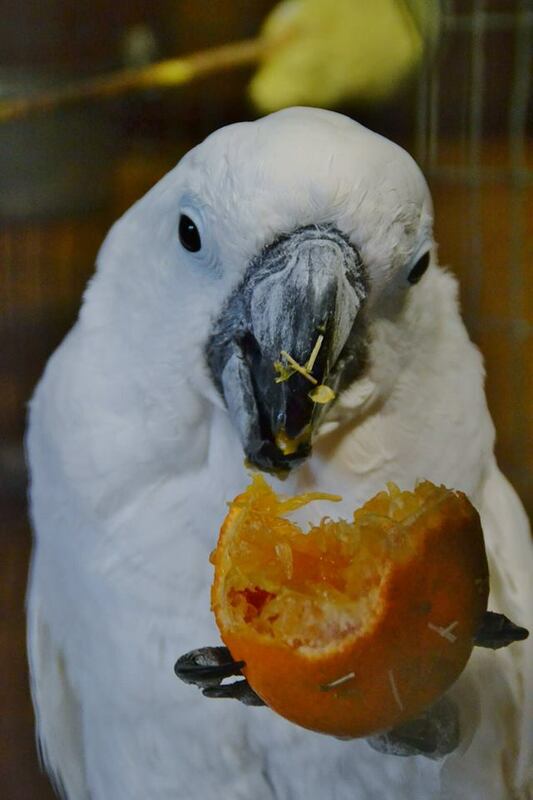 Mine has a large aviary outside, this works best for both of us. I am lucky that there are no neighbors nearby to take note of the screaming. 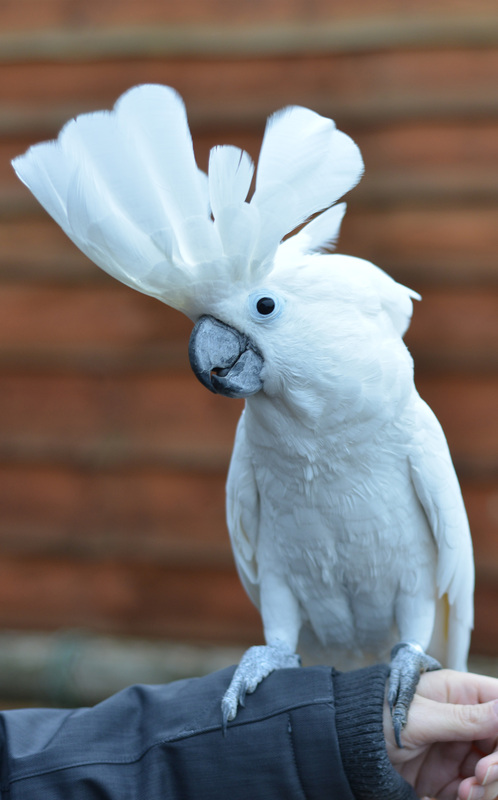 Many Umbrella cockatoos end up in shelters and bird sanctuaries. They are bought as cute quiet baby birds that need to be fed by hand with formula. They will grow fast and become very cuddly, affectionate and tame. 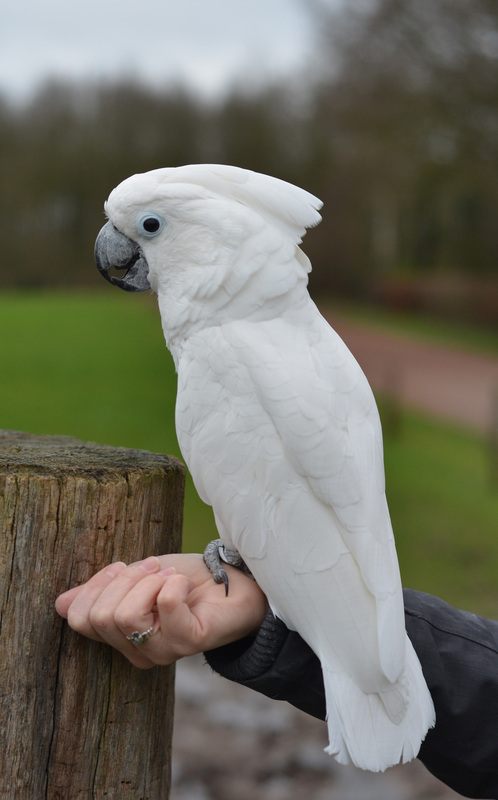 But when they reach adulthood at around 3 years of age, this cute bird becomes more assertive and much louder. It will start to scream very loudly, destroy furniture as his view of fun and may become aggressive to one specific member of the human family. 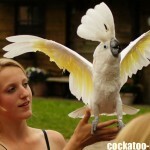 For many people the situation will become impossible and the bird has to go. 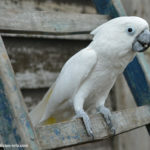 Because many people falsely believe and adult cockatoo will not become affectionate to new owners and because it causes trouble with its current owners, it can often not be re-homed and will end up in a sanctuary. 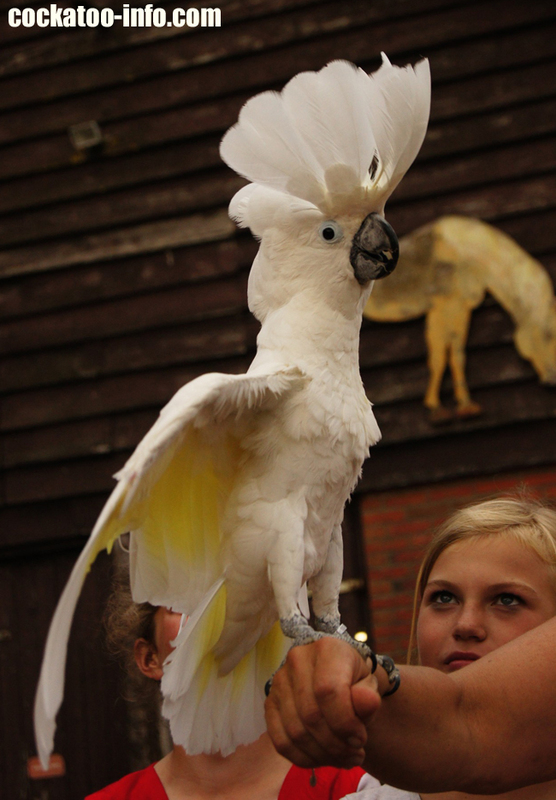 It is not true that an older cockatoo cannot get tame or get used to new owners. I got Coco when he was 4 years old and had no problems whatsoever. He is also very friendly to some other people and OK with most visitors. 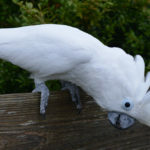 This species of cockatoo is pretty hyperactive; it won’t be content sitting on a perch all day but will venture around and try to get your attention. 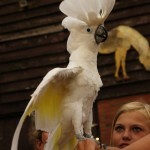 The Umbrella Cockatoo is decribed as the clown of birds, as it can show very funny behavior and knows exactly how it will get your attention. 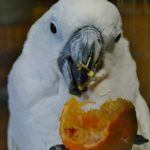 It is a great pet bird if you have the time and space to house one.